Currently, more than 1700 people from around the world study in Softwarepark Hagenberg and take advantage of the extensive range of courses on offer. In addition to the outstanding quality of the approximately 23 training programs in Hagenberg, students at the University of Applied Sciences and university institutes also benefit from the comprehensive services provided by the Softwarepark Hagenberg management. 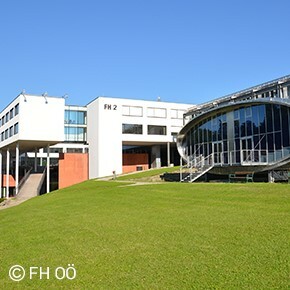 Unique services, such as job placement, network events and start-up support, are offered specifically for students at Softwarepark Hagenberg. Softwarepark Hagenberg is home to 10 research institutes and 75 companies, who are constantly looking for young, motivated employees with a passion and interest in IT and software. They offer a wide range of jobs in research and development, but also in sales, marketing, administration and infrastructure. In addition to permanent positions, jobs for innovative projects and internships are also advertised. If you don’t find a suitable job in our extensive job portal, simply use our internal application distribution list to send your application documents, i.e. your CV, motivational letter and photo to office@softwarepark-hagenberg.com or fill in the online application form. We will forward your documents anonymously to all companies and institutes on your behalf. The synergy of research, training and business plays a major role in Softwarepark Hagenberg’s recipe for success. As an interface between these three areas Softwarepark Hagenberg management connects decision-makers, visionaries and go-getters in order to bring motivated people with innovative spirit together with successful companies with experience. While you are still studying, take advantage of this opportunity to make important contacts for your successful future at our networking events and visits from national and international delegations. Have you had an innovative idea during your studies and want to start your own company? With its modern co-working spaces, Softwarepark Hagenberg offers a contemporary working environment for today’s creative company founders.